A man who failed to stop when pulling into a rooftop spot of a nine-story parking garage in Austin, rammed through protection wires and avoided a deadly fall when one wire wrapped around an axle, leaving the car dangling on the building’s side on Friday. The 24-year-old man, who was not identified by police, was pulled to safety back into the garage. He said he was unable to stop the vehicle that went off the top of the building and flipped over until it was caught by a wire, police said. “The driver was (miraculously) able to climb out of the sunroof and make his way safely back into the garage,” the Austin Fire Department wrote on its Facebook page. “I have a strong feeling the driver is going to have a great appreciation of what it means to be alive from this point forward,” said James Davis, 29, a cellphone software developer who was one of about 100 people watching the car dangling. The car was eventually lowered to street level by firefighters who used a wiring system to slowly move it. “From what we understand, the driver accidentally hit the gas instead of the brake,” the department said. At a news conference in Geneva late Friday, U.S. Secretary of State John Kerry announced the beginnings of a peace plan for Syria, reports NPR’s Alice Fordham. 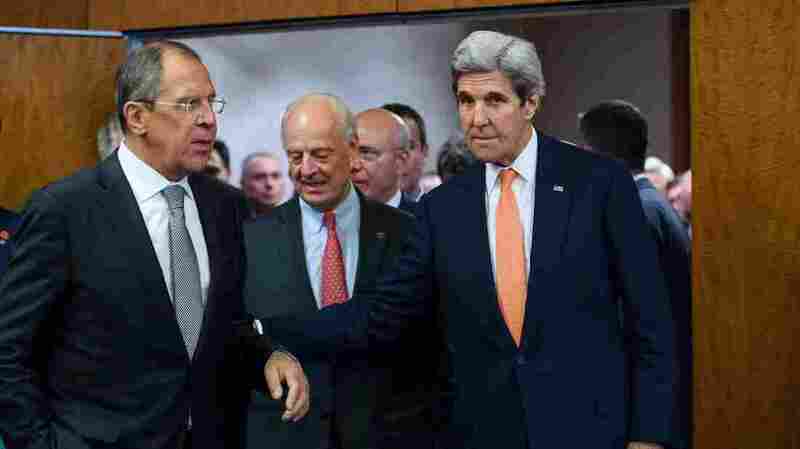 Kerry was joined in the cease-fire announcement by Sergey Lavrov, Russia’s foreign minister. “The United States is going the extra mile here because we believe that Russia, and my colleague, have the capability to press the [Bashar] Assad regime to stop this conflict and come to the table and make peace,” Kerry said. The deal will be implemented at sundown on Monday, Lavrov said. “We and the United States take obligation to do our best to engage and make the stakeholders comply with the arrangements in our document, and the Syrians have been informed and agree,” he said. But Kerry noted the history of failed plans in the Syrian civil war and warned that the implementation of this new one is far from guaranteed. The civil war in Syria, which has its roots in 2011’s Arab Spring, has pitted the long-standing Assad regime and its supporters in Russia and Iran against an assortment of secular and Islamist groups — prone to frequent infighting — backed by Sunni and Western countries. The often brutal fighting has displaced millions, many of whom have fled to Europe in an unprecedented refugee crisis. 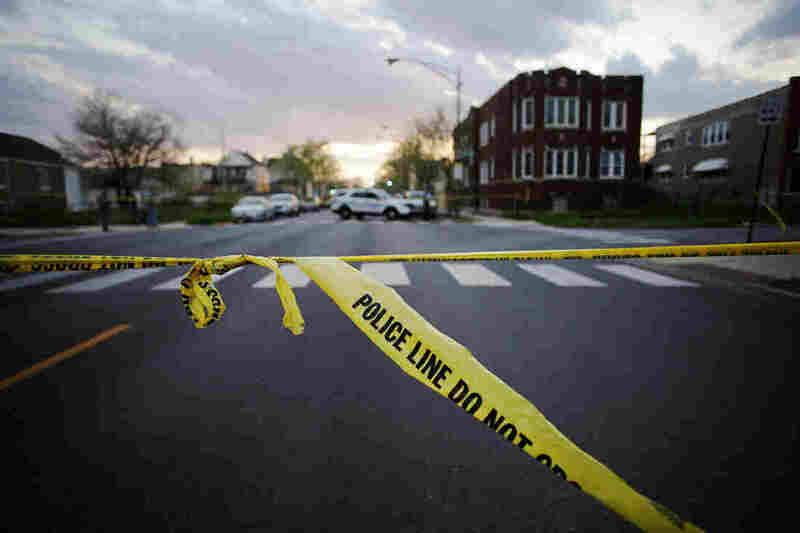 With the grim milestone of 500 homicides already passed this year in Chicago, police are grappling with a toxic mix of illegal firearms and gang culture. And social media is added to that mix with gang-affiliated Facebook pages, Twitter handles and YouTube channels. Images of a kid getting beat down or worse are easy to find online. 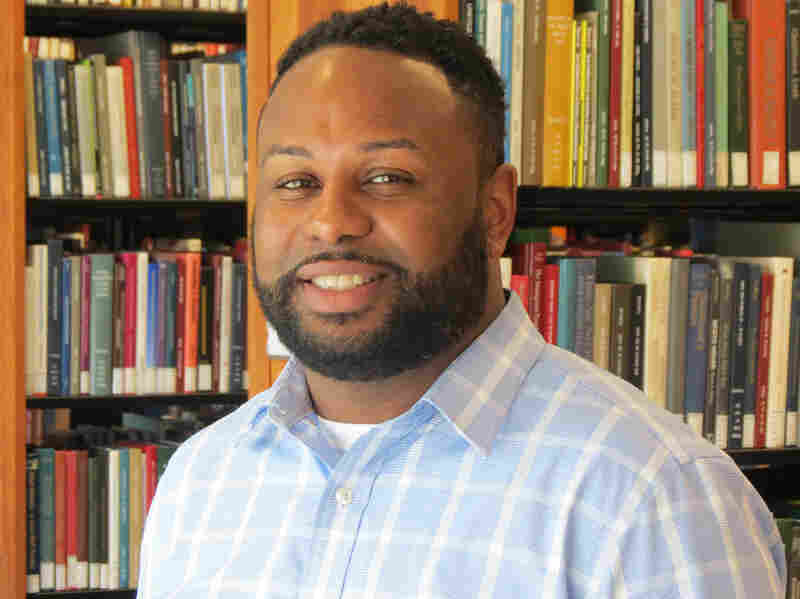 Or you can look at social media as data to be mined, says Desmond Patton, a professor at Columbia University and a former social worker in Chicago. Patton is trying to create an algorithm that will monitor and identify who might be the next victim or shooter. Patton also hopes this project will help identify young people who are vulnerable and provide them with support before they become involved in violence. There are a number of things that happen. First, there may be a conversation that unfolds. On Facebook, what you’re able to see is someone making direct kind of jokes or making fun of the individual that was killed. You’re also able to see video. So for example, you may have a video with someone at the funeral, or they are expressing their love for someone that was killed, and then someone could make comments based on that video as well. How things have changed are now when you’re making comments, you’re making threatening comments, online you can say these things very quickly, very fast. And then those things are broadcast on these platforms, and you have individuals that you may not be connected with reading and interpreting your thoughts, right? So often times you may have comments that were perhaps, not intended to be threatening but are interpreted as threatening. For example, young people would spell the name of a street backwards. And the spelling of that street was emblematic of a known gang territory, but if you weren’t from that neighborhood or had an understanding of that, then you would’ve missed what was actually being communicated. We really try to take in the full picture. So we look at the conversation. We look at the events. We look at the tone of tweets. We look at the actual letters. We look at capitalization. We look at the ways in which punctuation is used. So we take a really in-depth, kind of anthropological, approach to understanding what’s happening. Once we were able to get that deep understanding, then I pass that information on to our data scientists, and they are able to then develop tools that can detect instances of aggression and grief. And we’re able to identify those two things because they were the most prominent themes in our in-depth look at the language and the context in the tweets. She was a very well-known gang member on the South Side of Chicago. One of the things that has been said about her is that she was this tough individual that was willing to kill at the drop of a hat, and she allegedly had up to 20 bodies associated with her by the time she was 17 years old. But when we dig deeper into Gakirah’s tweets, she was like any other kid. She was experiencing trauma and grief on a day-to-day basis, and she expressed a lot of pain associated with that grief. And there have been some instances in various media outlets where people tried to communicate with her. But I wonder if they were able to bring in this insight about her deepest, most emotional experiences, if they knew that. Instead of looking at her as a gang member, looked at her as a young woman that was experiencing trauma and pain, how would that communication be different? So I just think that social media gives us an opportunity to really dig deeper into these experiences. The Obama administration is halting construction on the pipeline after concerns were raised by a nearby Native American tribe. 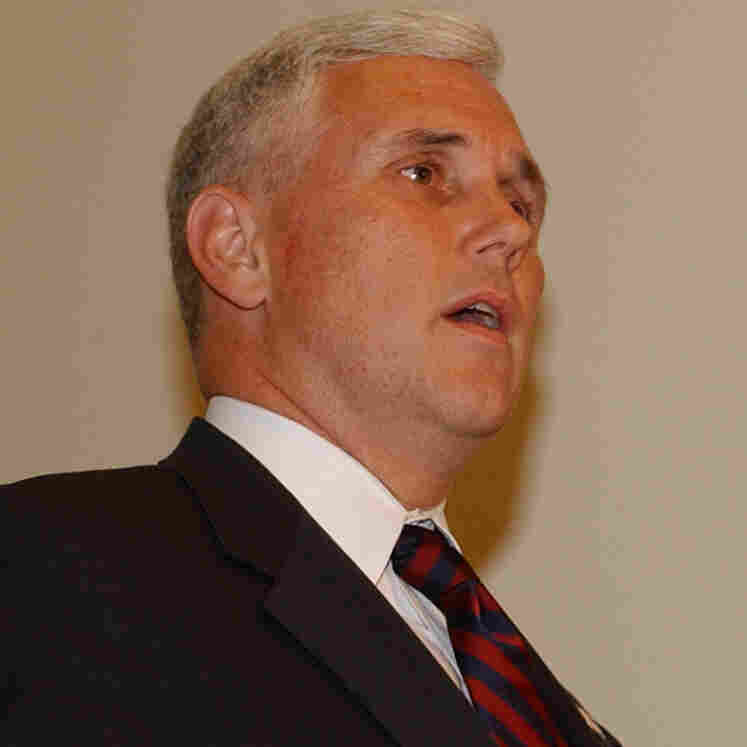 A federal judge previously ruled construction could proceed. Sunday marks the 15th anniversary of the Sept. 11 terrorist attacks in Washington, D.C., New York City and Pennsylvania. Hillary Clinton and Donald Trump have made Sept. 11 a recurring theme in their campaigns, but both say they will stay off the campaign trail that day and will not visit the Ground Zero site in New York City. Here, a look at current players in the political landscape and where they were in their political careers on Sept. 11, 2001. GOP presidential nominee Donald Trump says he watched the World Trade Center burn on Sept. 11 from his Manhattan apartment. 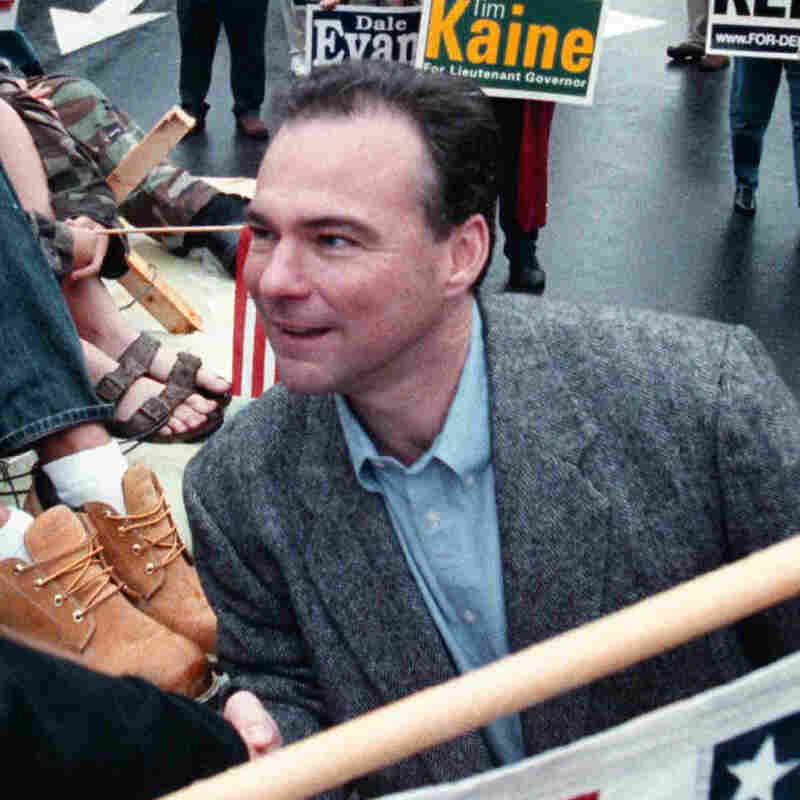 At that time, his focus was not on politics but on real estate — though the year prior, he had briefly run as a Reform Party candidate for president. 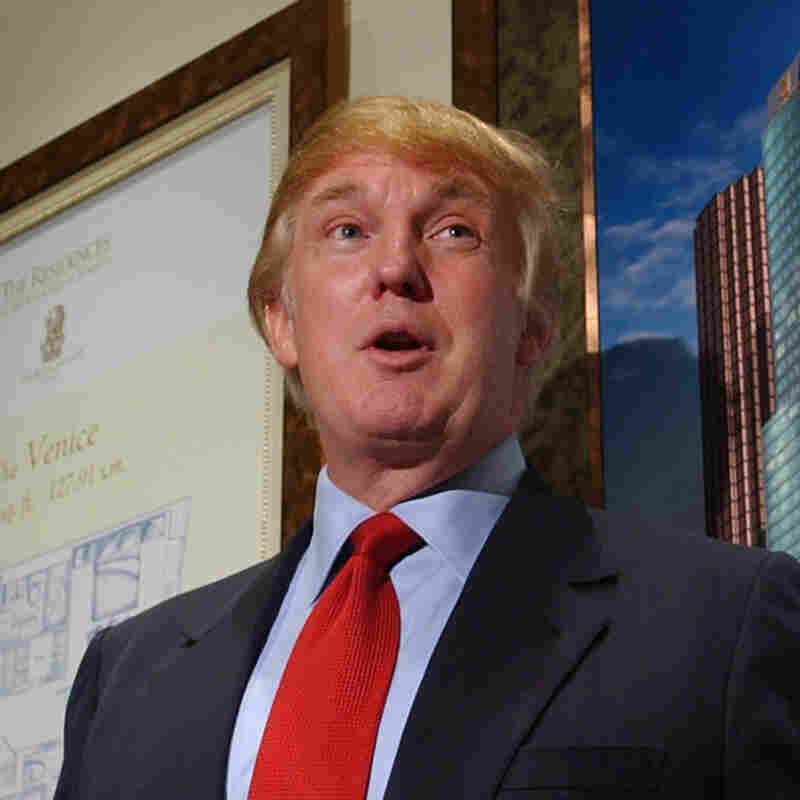 In an interview after the attacks, Trump talked about the cost to rebuild the Twin Towers, and also waded into policy, saying the U.S. needed to “respond quickly and effectively … and they have to go after these people, because there’s no other choice.” To support his campaign call for surveillance of some U.S. mosques, Trump said he had seen “thousands and thousands” of Muslims cheering in New Jersey as the towers fell, a claim The Washington Post said isn’t true. 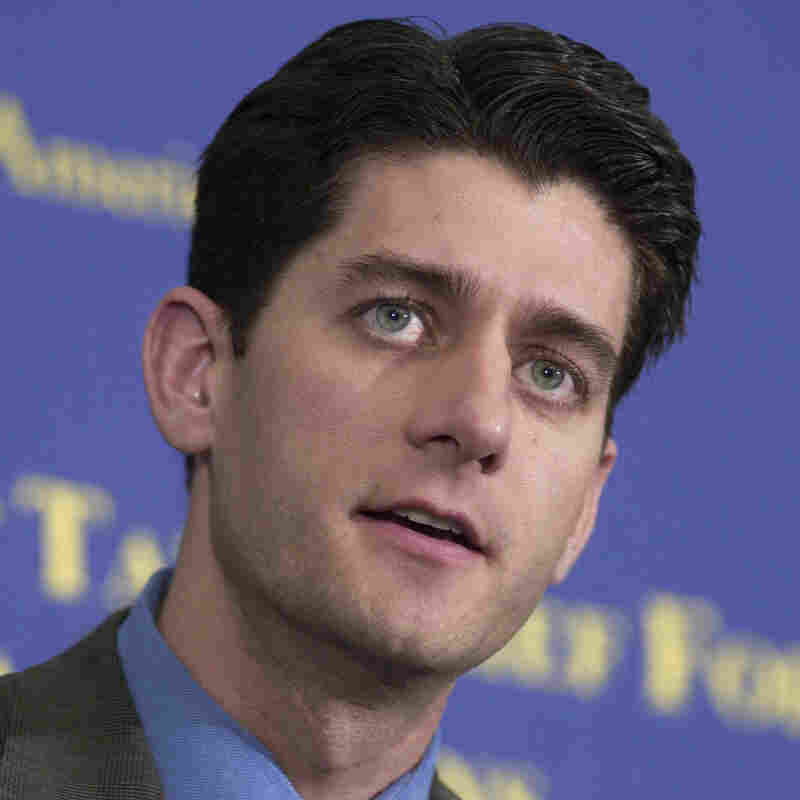 Paul Ryan was starting of his second congressional session when terrorists attacked New York City and Washington, D.C., on Sept. 11. Ryan says he watched from Capitol Hill as smoke rose from the fires burning at the Pentagon. In 2001, he voted for the resolution to use military force against the terrorists and for the USA Patriot Act, which gave law enforcement agencies new search and surveillance powers. 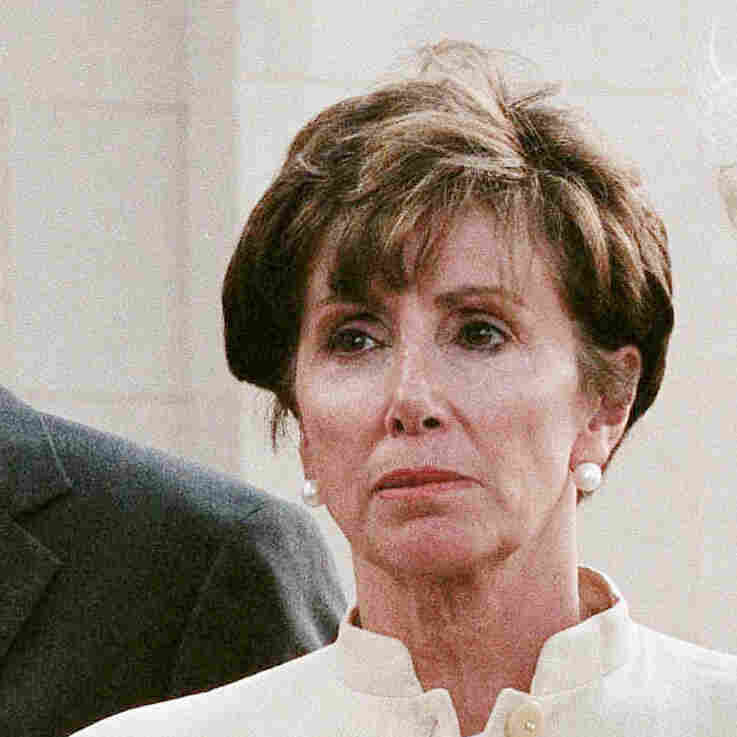 As House Speaker, he raised concerns about a bill to allow victims of the Sept. 11, 2001 terrorist attacks sue Saudi Arabia as well as a bill to provide medical care to first responders who got sick after working at ground zero. In 2001, former New York City Mayor Rudolph Giuliani was leading a city that hadn’t seen a Republican mayor in nearly two decades. 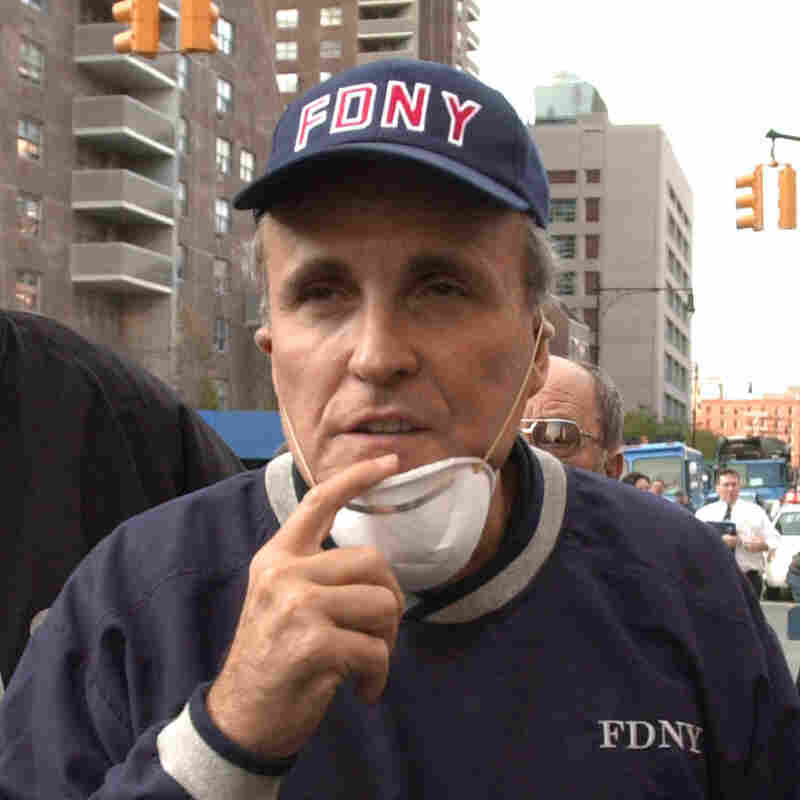 Giuliani became known as “America’s Mayor” thanks to his reassuring presence at Ground Zero and his ability to unite the city after the attacks. Detailing how his morning unfolded at a 9/11 Commission hearing, Giuliani says he knew he and city law enforcement were in uncharted territory when he saw people jumping out of the World Trade Center after the planes hit. “We’ve never gone through anything like this before, we’re just going to have to do the best we can to keep everybody together, keep them focused,” he said. A German pensioner crashed into 14 cars in a parking lot and caused an estimated 25,000 euros of damage to 15 vehicles including her own, police in the western town of Dueren said. The 75-year-old, who was taken to hospital with minor injuries, suddenly accelerated in the parking lot and smashed into the rows of parked cars, police said. This week, Here & Now has been looking back on the events 15 years ago when terrorists attacked the United States on Sept. 11, 2001. 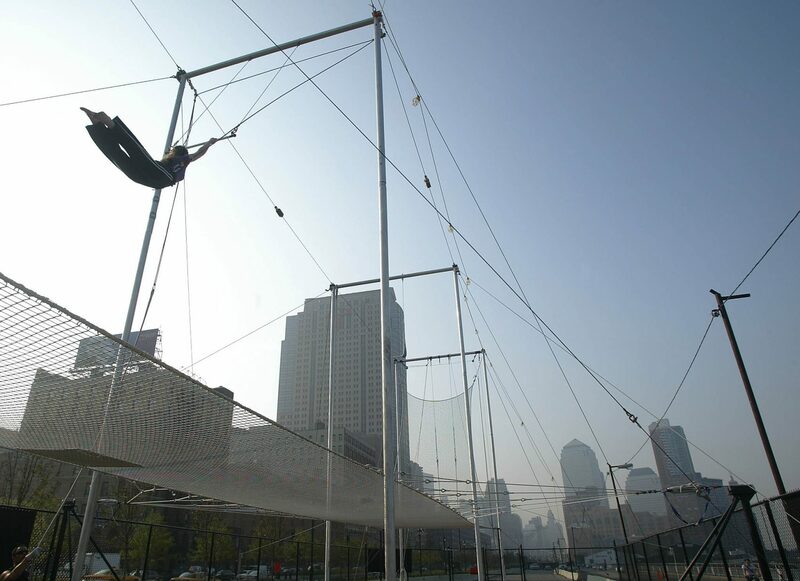 On the attacks’ first anniversary, Here & Now‘s Robin Young visited a trapeze school near the site of the World Trade Center Towers, and talked with New Yorkers coping with their thoughts of that day. 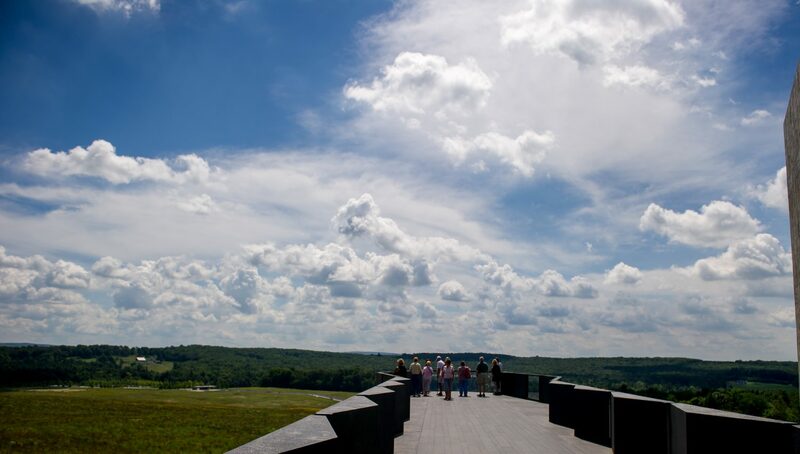 Trees, grass and flowers are a main part of the Flight 93 National Memorial, which marks the site in Shanksville, Pennsylvania where Flight 93 crashed. Flight 93 was hijacked by terrorists. Many of the 40 crew and passengers fought the hijackers and allegedly prevented the plane from hitting the Capitol Building. Kara Holsopple of Here & Now contributor The Allegheny Front reports. Kara Holsopple, reporter for The Allegheny Front. She tweets @karaholsopple. Steve Silberman talks about how Nazi extermination plans and a discredited scientific paper about childhood vaccines shaped our current understanding of autism. Originally broadcast Sept. 2, 2015. A ticking time bomb. That’s what some health officials say the Zika virus is in Southeast Asia. In the past two weeks, an outbreak in Singapore has climbed from a few dozen cases to nearly 300. “They’re starting to have a situation in Singapore, which is really quite worrying,” Dr. Anthony Fauci from the National Institute of Allergy and Infectious Diseases said at a recent meeting on Zika at Georgetown University Law Center. And it’s true. 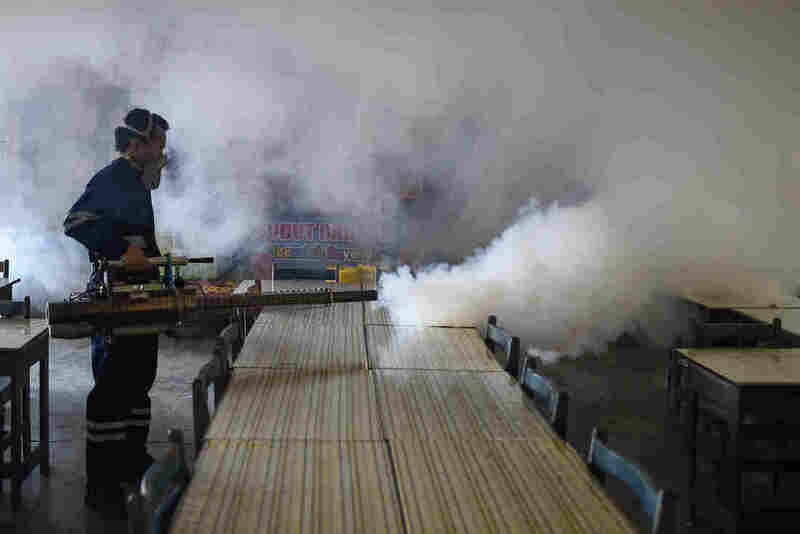 Southeast Asia has all the right ingredients for a massive Zika outbreak. It’s home to more than 600 million people. Many are packed into densely populated cities, which often lack mosquito control. And just like Latin America, Southeast Asia has the perfect climate for the mosquitoes that transmits Zika — hot and moist. “When you go outside in Malaysia, you get bitten everywhere. It’s not like in the U.S. Mosquitoes are everywhere!” says Jamal Sam, a virologist at the University of Malaya in Kuala Lumpur. But there’s something hiding in Southeast Asia that may protect the continent from Zika. It’s in their backyards, their flower pots and birdbaths. And this secret weapon is the exact opposite of what you might expect. “There’s lots of evidence that Zika is already present in Southeast Asia,” Sam says. That’s right: Zika could protect Asia from Zika. Scientists first detected the virus in the region back in the 1960s. Over the next 50 years, multiple studies found sporadic cases across a massive swath of land — in Thailand, Cambodia, Indonesia and Malaysia. Those studies suggest Zika has been lurking in Asian mosquitoes and possibly infecting people silently, for decades — maybe longer. And that means people in the region may already be immune to Zika. That natural immunity could stop — or temper — potential outbreaks, Sam says. Decades ago, a few studies suggested up to 30 percent of Malaysians may have immunity to Zika. But Sam says, no one really knows about other parts of Southeast Asia. And even that Malaysian percentage is a bit dubious. “Those studies are old,” he says. And the tests used back then — and even now — aren’t good at differentiating Zika antibodies from those of similar viruses, such as dengue. “So you get a lot of false positives,” Sam says. Of course, Southeast Asia has changed over the past decade in ways that could make Zika outbreaks worse. Many countries have gone through massive development, with cities growing both up and out. Mosquitoes that carry Zika thrive in urban environments. But recent studies suggest that doesn’t seem to be the case, says Jasper Chan, a microbiologist at the University of Hong Kong. So, he says, the version of Zika in Asia will probably act similarly in people as the one in Latin America. “Microcephaly, Guillan-Barre and all the other concerns about Zika are still a threat to people in this region” — unless those people have already been infected with Zika.